BREAKING: WANT TO KNOW WHO IS GOING TO COMPOSE FOR VIJAY 61? When a project has Vijay’s name, everything about it gets all the attention. Likewise, Vijay’s 61st venture is the talk of the town. Earlier in the day, we had reported about Sri Thenandal’s involvement in the film. Now we have one more update. Reliable sources reveal that GV Prakash is the chosen music composer for Vijay 61. 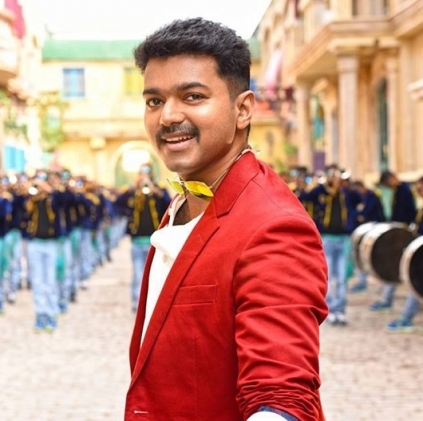 It has to be recalled that the combo of Vijay-GV-Atlee tasted huge success with their earlier outing Theri. Official confirmations on this project are expected to be coming in one by one. Stay tuned! Will GV Prakash’s 4G Have 4 Heroines? Open Letter To GV Prakash - What EIPI Did To A 10 Year Long Fan! People looking for online information on Atlee, GV Prakash, Vijay 61 will find this news story useful.